Often our lives get entwined in the mundane. We live each day- work, eat, sleep without giving a single thought to our core happiness. That happiness that comes from completely and totally knowing yourself. Knowing what you are, what you need, what makes you tick, what makes you thrive. But we live. Is this the way to live? Are you truly ALIVE? Hence, when I started writing this series of articles, I had the many people in mind who still are looking for the meaning. Looking for the answer to the age old question of “why am I here?” The series has helped me look at some aspects of my life too. Where I need to infuse more passion and where I need to dream and BE more. What I have noticed is that whatever you do, whatever your goals, your desires…there are only 3 P’s we all require to reach them, to be completely Happy & Successful. If you have a passion for something but still aren’t good at it, its ok. Practice practice practice. If there is a habit you want to give up, that too requires practice, a practice to control self. In this quick fix, fast forward world we often forget that the things that are most precious to us have come to us after a lot of time and patience. Be it having a baby, before which a mother has to carry it to term 9 months. Ask an expecting mother how long that 9 months seems to her. But she keeps her thoughts positive and dreams of how her life will be with that bundle of joy in her arms. Looking ahead, dreaming good dreams, keeping your thoughts positive all helps in developing patience. When things don’t go according to plan, according to our expectations we get upset, agitated and give up. Look around you…how many projects have you started and not finished? How many ideas have you thought of that haven’t seen the light of day? Its these ideas, these sudden bursts of thoughts that hold the key to your uniqueness, your passion…YOU! We all need to be more persistent towards our-selves, towards our ideas our thoughts. Take out 2 minutes in a day to scan your life and yourself- Bring out all those ideas, those thoughts and let them breathe. You will Breathe such a sigh of happiness when you do. Follow through those ideas to the very end. Who knows this idea this thought is what will MAKE you.. This is the 4th and last article in the “Know Your True Self” Series of articles for now. I assure you there will be more articles in this series and they will be added to the “know your true self” work book that will be for free downloading soon. The work book will include this series of articles, positive affirmations, more exercises and practices you can do in the comfort of your own home to truly reveal and Know Your True Self. Its my sincere hope and prayer that all that I share here on this blog and in the newsletter helps you. If there are any topics you want me to write about do let me know. What about you? Do you have any particular ways or tips for success and happiness? What is Your definition of success? Please share your thoughts in the comments below. How can we truly KNOW our true self? Is a question that has been asked many many times. Many have asked me this very question via email, twitter, facebook and personally too. The answer was a vast yet important topic, with many facets to uncover. Hence the answer was turned into a Know Your True Self – Series of Articles which were spaced out over the last few weeks. The articles were short, simple & full of practical ways to Know Your True self, thereby guaranteeing success to you in your journey of Knowing your true calling. The Know Your True Self WorkBook will be available for downloading very soon! Get the latest articles(FREE) as soon as they are published, by Email OR RSS. 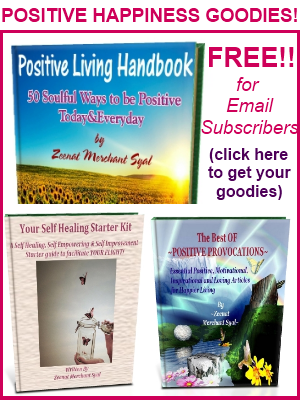 PLUS if you are an Email Subscriber, You get a free Positively Positive Newsletter on the 15th of every month with the months highlights+Positive Living Affirmations +New Tips and articles which are not published on the blog. Come Join the facebook community & follow me on Twitter for Positive Provocations Everyday! As you know I am visually challenged. 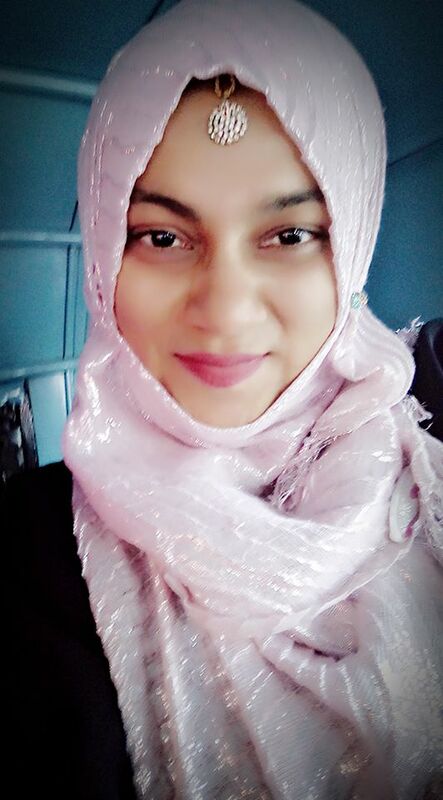 I would like to share something with you and your readers. Persistence means keeping on trying no matter what. Persistence of Vision – the persistence of vision theory, which contends that the human eye retains all images for a fraction of a second. An afterimage or ghost image is an optical illusion that refers to an image continuing to appear in one’s vision after the exposure to the original image has ceased. Just as our eyes retain that afterimage may we retain the image of ourselves patiently persisting in our practice as we passionately pursue our dreams. I love what you shared and am sure it will leave the readers with something to put to practice. Its amazing how God created our body with so much more to discover everyday. Amazing! Thank you fro sharing your wisdom dear one. From my own experience, I’ve found persistence is what pays off for me. If I’m truly passionate about something, I don’t give up or give in, but instead enjoy the journey to my dream. Your beginning sentence made me want to add, “We live each day- work, eat, sleep, “blog” (haha).